Thursday, September 27th, 2007 | 8:26 am	and filed in stuff, Reason, Friends, Commercial Projects. Well, up until this week, i’ve been busy working on a new project. It’s been about 5 or 6 years since I last created a Reason Tutorial video, so it’s about time that i got a new one out of the can thanks mostly to my friend Josh Mobley. Up until a month ago, i was focused on working on a new version of Power Tools for Reason, but an opportunity came up with Groovebox Music to develop and produce a tutorial video. After a brief phone conversation with Josh, I had a spark of inspiration - basically we would take his Reason 4.0 demo track, Narrow Escape, and reconstruct it to show people how to make the most of the new sequencer, the new ReGroove Mixer, and a bit of Thor programming. 12 Hours after our conversation, I had drafted the script. A few days later, I was on a plane to Pittsburgh, Pennsylvania to work with Josh at his place where we spent 5 days cranking out several hours of screen capture animations as well as some video, and voice overdubs. Yes the picture is Josh’s Reason Tattoo. 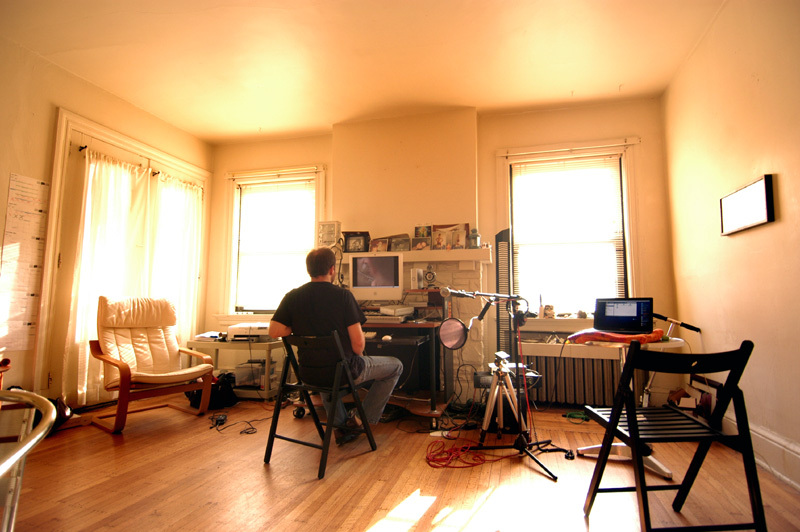 Click on that picture to see Josh’s livingroom/studio with the total minimal rig we used to develop the video.